For more specific information or help regarding our balustrade/staircase products, please don’t hesitate to get in touch with a member of our expert sales team on 01691 671020 for further assistance. Base rail - When you are thinking of your stair design, the baserail is likely to be far from your thoughts. A baserail is a small but important part of the design process. Not only do they add a finishing touch, they are also an essential safety feature that ensures that your stair spindles are securely held in position. Handrail - A handrail is the rail that runs along the top of the spindles. Handrails can also be attached to the wall as a stand-alone fitting. Their main purpose is to be grasped by the hand of the user so as to provide stability and support. Newel caps - Situated on top of a newel post, newel caps Newel are the perfect finishing touch to a staircase. Newel post - A newel post is the structural upright post that fits at the beginning and the end of a staircase and supports the handrail of a stair banister. The most important job of a newel post is to provide structural support, but that does not mean that they can’t be used to enhance the look and feel of your stairs. Spindles - The spindles that you choose for your staircase can have a huge impact on the overall look of your home. Spindles are the vertical struts that connect the handrail to the base rail of your staircase. Risers - The board that forms the face of the step. Tip: The maximum individual rise for domestic staircase flights is 220mm. Treads - The top or horizontal surface of a step. Bullnose step - Typically at the bottom of the staircase with one or both ends of the step having a quarter circle design. Going - The going of a flight of stairs is the horizontal distance between the face of the first and last risers. Nosing - The edge of the tread projecting beyond the face of the riser and face of the cut string. Cut or open string - A string with the upper edge cut away to the shape of the treads and risers so that their profile can be seen from the side. Rise - The rise of a flight is the vertical distance between the floors or landings connected by the flight. The individual rise is the vertical measurement from the top of one tread to the top of an adjacent tread. Winders - Are steps narrower at one end that are used to change the direction of the stairs through 90 or 180 degrees. Chrome - For a fashionable and modern improvement in the home, why not invest in a chrome staircase. 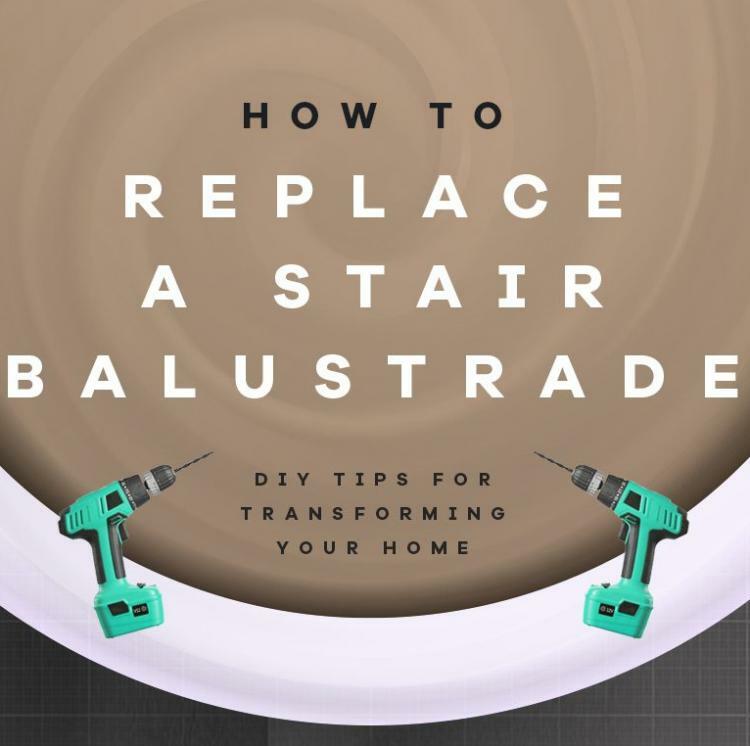 Both timber and metal are used to create a unique spindle for the staircase, as well as providing matching newel posts, hand and base rails and all necessary assembly and finishing kits to make this installation a piece of cake. Iron - If you want your home to be packed full of character and quirky features without renovating your entire home, then look no further. Both ranges of iron balustrade come with everything you need to give your staircase a fresh new appearance. We stock the iron spindles, solid oak base and handrails as well as newel posts and wood adhesive. Contemporary - If you are looking for a clean cut, edgy look, then contemporary is by far your best bet. Contemporary is perfect for someone seeking that squared off, timeless look. Traditional - Renovate your staircase with understated traditional turned spindles and newel posts for a classic unspoiled look. Instantly revives and renews the look of your staircase to completely transform your home. Glass panels - A simple and easy way to open up your home - making it feel brighter and more spacious - is by incorporating glass panels in your staircase. Forget traditional wooden spindles and opt for something a little more contemporary and modern for your home. Pull it downwards to disengage from the handrail housing. Pull your spindle out of the lower housing. Once the top is freed, it can be pulled out of its housing. Tip: If you wish to reuse the spindles, take care when removing as they may damage or snap. Lift your handrail clear when loose. Set the new posts on top of the cut newel, but don't glue them just yet. Glue the newel posts in place using a PVA woodworking adhesive (or if the joints are loose, use a gap-filling synthetic resin glue). (Once the glue has set) conceal the nuts using cover buttons.